The biggest of hearts and personalities are packed into this compact and robust little parcel, some of which also possess the breed trait of a beguiling smile or perform meerkat impersonations! Surprisingly, for these most beguiling of characters, the Lancashire Heeler is still designated by the Kennel Club as a vulnerable breed. Occasionally, dogs find themselves in need of new homes, due to no fault of their own. The Community Welfare Fund is a breed specific rescue and welfare organisation set up to help dogs, and their owners, at all times of need. It is a Kennel Club registered Breed Rescue supported by the KC registered Lancashire Heeler Club, The Lancashire Heeler Association. You can find more details of the Welfare Fund here. 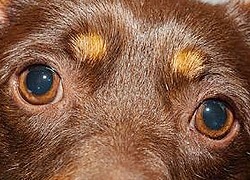 This site contains breed information, history, owner and breeder stories of interest, and information about activities such as showing, agility and tracking. 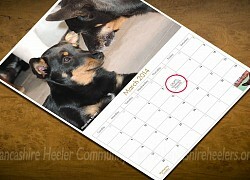 The community is a non-commercial, on-line Lancashire Heeler Club providing space for all owners, breeders and enthusiasts to contribute. We hope you enjoy browsing the articles and pictures and participating in our competitions. Please feel free to send us articles and pictures for inclusion on the site. Newcomers may like to start by browsing out 'Frequently Asked Questions section (FAQs). Enjoy browsing our articles and pictures provided by enthusiasts around the world. Contact Jacky on 07771 743138, or Bill .. 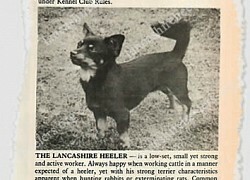 The Lancashire Heeler Database is re-launched. Almost 7000 .. 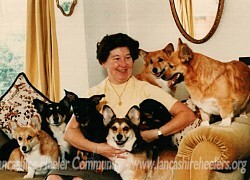 In all that she did Kathie's enjoyment of her dogs was .. 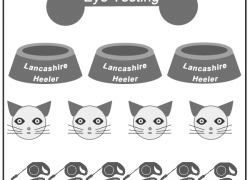 Eye testing dates for your diary and latest Lancashire ..
All the latest information on shows, events, and more; .. 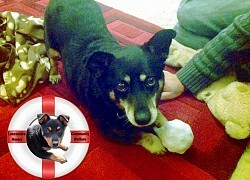 Many of the inherited problems in dogs are found in the ..
Lancashire Heeler Community - 12th Year! We'd love to hear from you! : Send us your articles / news or pictures.